Mimicry is one of the foundations of collaboration. Even as an infant, we mimic each other's postures and facial expressions during social interactions. ‍"Feed The Plant With Me" is an ongoing investigation on collaboration: How do we get people from different backgrounds, experiences, values and beliefs to work together? 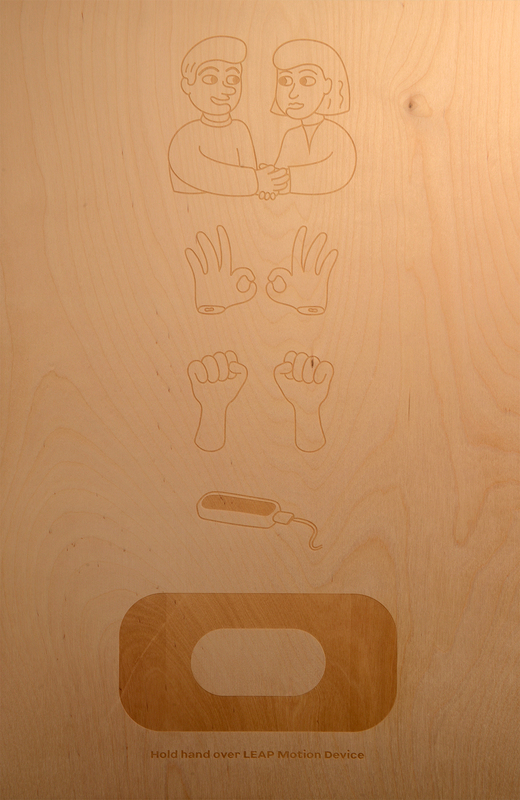 As the visitor walks up to the podium, a laser-cut instructional panel guides the visitor to hover her hands above a LEAP Motion Device. The LEAP Motion Device can track hand gestures, and differentiate whether the user is grasping their hands or pinching. 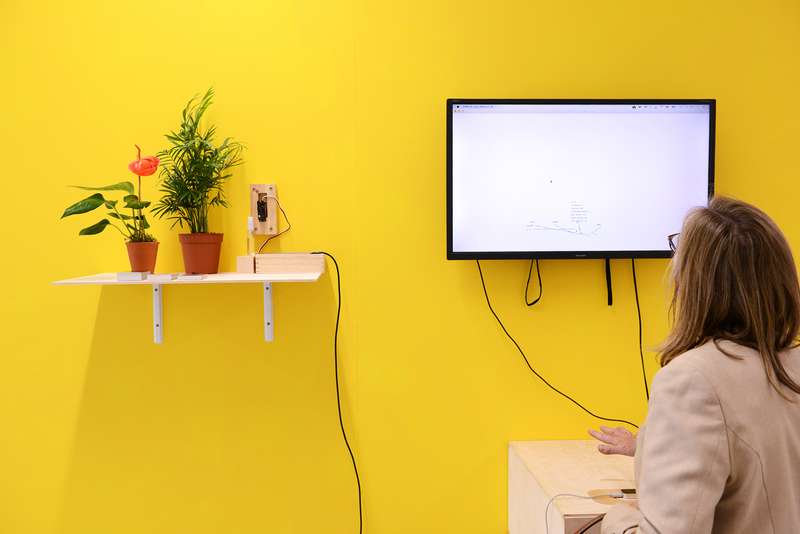 If the user finds a stranger, friend, or family to work together and grasp their hands synchronously, the Arduino-controlled motor successfully waters the plant. The plant continues to live. As strangers or friends, they have worked together to keep the plant alive. Without this collaboration, the plant withers. 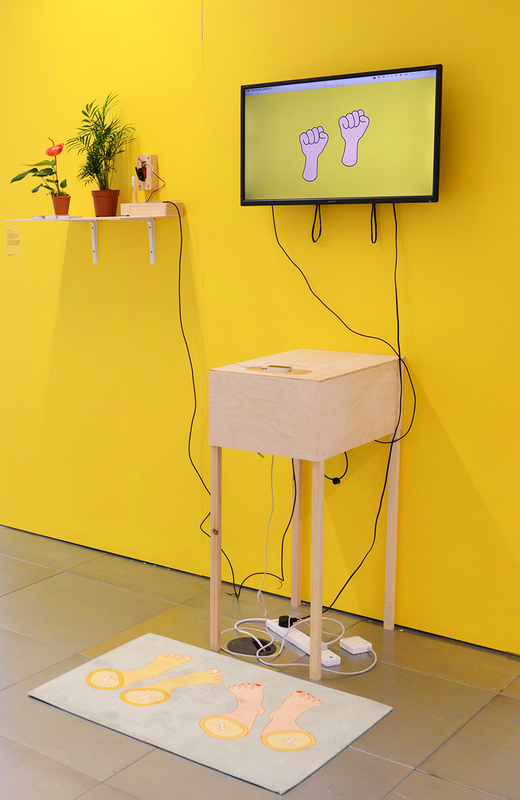 "Feed The Plant With Me" is an extension of my WIP show project, "Gesture-Tracking Glove". From previous visitor responses, I noticed the glove as a gesture-tracking material restricts user mobility and they become overly self-aware of their actions and behaviour becomes unnatural. This time, I used a LEAP Motion Device – similar to a Kinect – so the interaction becomes seamless and invisible.